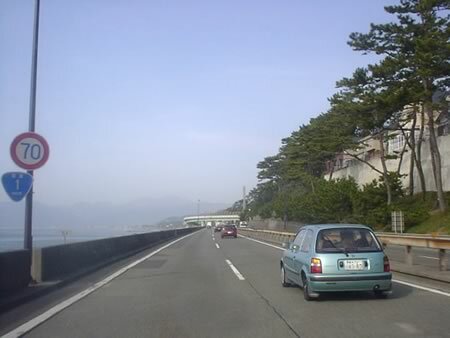 After the large traffic congestion which continues from Kamakura finishes, that is the entrance of Seisho Bypass. Although this road is not so dangerous a way, the unmarked police car make enforcement well. Police should work by a more dangerous road.